If you are new to escape room games, and do not know how to get out of the room or what to expect from this game, then you are at right place. The escape room game tips provided below will help you in playing this game successfully. This guide for beginners includes all the tactics, advice and tips for playing escape room game. While playing an escape room game, you should keep in your mind that while entering an escape room every team must have a common goal to escape the room in not more than an hour otherwise the key will be thrown away. 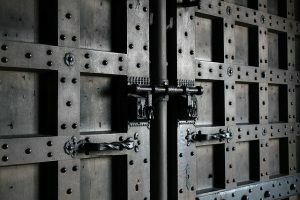 Below are some effective tactics to consider before entering the escape room. You can handle your escape room game most efficiently when you play it in a team of about six people. So you should choose your fellow players wisely so that all of you are well connected. There must be good communication between your team members so that you can think at the same level and cooperate well with each other. But if there is a mix of perspectives and skills then it will be more beneficial. First of all, you will have to choose the location of your escape room. There are options varying from a horror scenes, to a number of adventure and fantasy themes. Do you like to be afraid while in the presence of some supernatural powers, or the scene of some horrifying event? It can be intense being held as a hostage. It can be exciting to escape from a prison or escaping with your life’s biggest robbery. You and your team will get a briefing about the fine points of the game before entering the escape room. These tips can be helpful for your team to some extent so you should be attentive to them. Then your host will narrate a story behind the scene you are going to face while you were waiting for your entry to the escape room. Your game-master can give you some useful ideas or clues you were looking for, so you should be attentive to him also. You have no option except getting involved in the world of escape rooms at least for the coming 60 minutes, once you have entered your escape room. So, you should enjoy these moments as you will be exploring lots of things. While finding out all the clues you should ensure to search around the entire room to solve the puzzles by using your brain. But you should never forget your motive to play this game. Whatever you are doing will help you in escaping this room after completing your challenges. The escape room game tips provided in this article can help even the newcomers to play this game successfully. Be sure to plan with your group prior to entering the room, so you can have a strategy in place. While it’s important to search even the smallest clues, it’s also important to remember to have fun and not become overwhelmed.